LED Eco Lights and Longevity Partners today announced the completion of a project to refit all emergency lights in the common areas of a Grade 2 listed Bristol eco-apartment complex with long life, energy efficient LED lights from the Goodlight range. 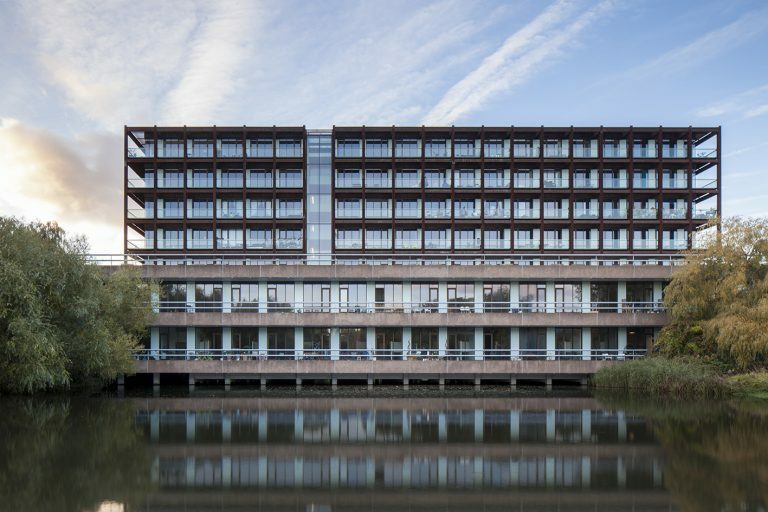 The 10-acre Lakeshore development in Bristol, England, has a BREEAM EcoHomes rating of ‘Excellent’ from the BRE (Building Research Establishment), as well as a Housing Design Award and a Green Apple Award for its sustainable and green credentials. 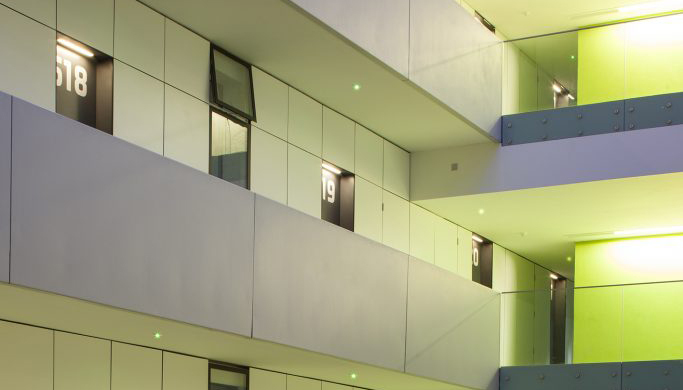 Longevity Partners was commissioned to replace nearly 1,000 individual lights in the car parks, walkways and stairwells of the complex with LED lights to reduce operational costs and ensure compliance. The existing lights were mainly fluorescent lights. The operators of the complex, sought longer lasting lights to reduce the frequency of replacement. Energy consumption was also a concern, as the lights can be on for 12 hours or more per night in winter. Etienne Cadestin specified Goodlight LED products from LED Eco Lights. He says: “Whilst many vendors claim long lives for their LED lights, Goodlight LED lamps and luminaires stood out because they support their products with a five-year guarantee. This gave us confidence that the specified 50,000-hour lifespan would be achieved, effectively eliminating the need for staff to replace lights on the site on a regular basis. We were also looking for a retrofit technology, which means we were able to use the existing fittings to achieve higher cost efficiency and reduce the project’s carbon footprint. ” Etienne Cadestin confirmed that the installation of the lights was straightforward. Longevity Partners implemented the Lakeshore project as a rolling programme to replace each of the 957 lights on the complex with a suitable alternative from the LED Eco Lights Goodlight range. LED Eco Lights supplied 3W emergency downlights, T5 5ft LED tubes, emergency bulkheads, and PL lamps from the Goodlight range. Many lights are battery backed up, ensuring continued operation in the event of a power failure or other emergency. Goodlight LED switch on instantly at full brightness with no warm-up required. They use much less power than other lighting technologies, and are maintenance free. Their 50,000-hour lifespan equates to 11 years if switched on for 12 hours per day.